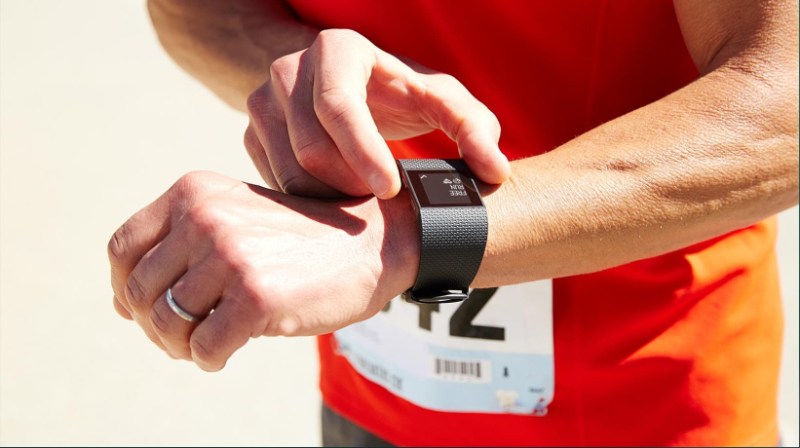 Some consumers are throwing a spitfit over Fitbit. The maker of wearable activity trackers was hit with a class action lawsuit Tuesday claiming the device used to measure heart rates in the company's Charge HR and Surge fitness watches "do not and cannot consistently and accurately record wearers' heart rates" during exercise. The company advertises using the slogan "every beat counts." The suit was filed in San Francisco federal court on behalf of three Fitbit users and all others who have used the products. The lawsuit claims testing has confirmed that the San Francisco-based company's PurePulse Trackers "consistently mis-record heart rates by a very significant margin, particularly during exercise." According to the suit, one of the plaintiffs, Kate McLellan, of Murietta, California, compared her real-time heart rate readings from a Charge HR with those on a stationary exercise machine and noticed a discrepancy. She called Fitbit and was told to reboot the device. That didn't work, so she asked for a refund in an online chat with a company rep, but that was denied. There's an interesting wrinkle to this lawsuit. You may have read, a couple of months back, The New York Times series on the widespread use of arbitration agreements. It's long and involved, so we'll boil it down for you: You can't barely purchase a stick of gum anymore without agreeing to forego your right to sue in a court of law. That's an exaggeration, but only slightly. The Times reported that "clauses buried in tens of millions of contracts have deprived Americans of one of their most fundamental rights: their day in court." Meaning that any time you sign up for a service or product, like cable TV, a credit card or health insurance, part of the terms of service is a prohibition against joining other consumers in a class-action lawsuit, as well as suing on your own. Instead, you must agree to resolve any dispute by going before a private arbitrator, usually the employee of a company hired by the defendant. Well, as Alison Frankel explains for Reuters, Fitbit, like many companies, also employs an arbitration clause; it's included in the terms of service you sign when you register at the company's website. And you need to do that for the device to work. "At no point before or during the purchase of her Charge HR was [the plaintiff] provided with or required to agree to an arbitration clause or class action ban, nor was she put on notice that she would be required to agree to an arbitration clause or class action ban for her Charge HR to function as intended." That, says the lawsuit, brought by San Francisco's Lieff, Cabraser Heimann & Bernstein and Robert H. Klonoff, constitutes an "unconscionable post-purchase agreement, which class members were required to accept in order to render operational" the Fitbits they purchased.